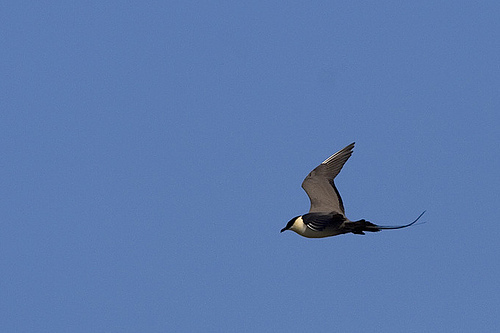 In summertime the Long-tailed Jaeger (also known as Long-tailed Skua) has a beautiful long tail. 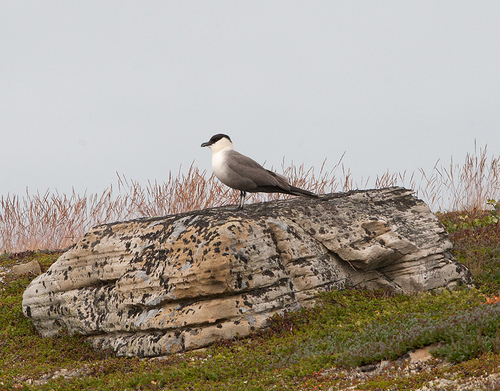 The bird is about as large as a dove, but like other skuas it is a fierce predator. It prefers to steal food from gulls.